Because Blogger was temperamental when Larion first visited the day before Thanksgiving, I am presenting an encore of her recipe and book information. Please welcome Larion Wills today, our gun-totin', rootin' tootin' Western author whose book, Tarbet, is the fifth in her historical western collection and was released Friday, November 25 from Muse It Up Publishing. In the spirit of the West, Larion shares a recipe from that era, but one which we all love in the 21st century. Yee-haw! To fit in with a western, here's a peek at how they used to do it. Although bread making is nearly a lost art, it has become much easier for the modern day person who didn't live on a remote ranch or farm or was traveling if they wanted or preferred raised, yeast bread to biscuits or flat bread. A trip to the store for yeast was in many cases an all day journey. To ensure they had yeast on hand for bread, they used a sour dough starter. In a modern kitchen, though time consuming, the process sounds pretty simple. Even cooking it in a pioneer kitchen would be as long as there was enough wood to keep the stove going. Imagine attempting to do this on a wagon train headed west. The only thing that would be simple would be the shaking of the starter. I actually came across this in references to cowboy cooking. It does boggle my mind a bit to think of carrying starter in a saddle bag. They, like those on a wagon train, wouldn't have to worry about shaking frequently. On the trail they used dutch ovens, cast iron pots with a lid, that they buried in the coals. I suspect it was a lot of guess and keep your fingers crossed when it came to gauging the temperature. Mix ingredient well and place soft dough in a nest of flour. Knead in only enough flour to keep mixture from sticking to your fingers. Develop further, out of flour nest, by kneading or pounding for 10 minutes. Place smooth ball in bowl and cover with a hot damp towel. Allow to rise for about 4 hours at room temp. (72 degrees) or until double in size. Shape into 3 loaves, allow to raise again for 3 hours. Bake at 325 for about an hour in a well greased or floured pan. Mix well and allow to ferment 5 days in a warm room. Stir it several times a day. Store unused portion in glass or crockery with a tight fitting lid, shaking often. After using activate with water and flour, 2-3 T in equal portions and stir. Ready again to use in 24 hours. Always maintain at least one cup of starter. One cup of starter is equal to 1 T of dry yeast. 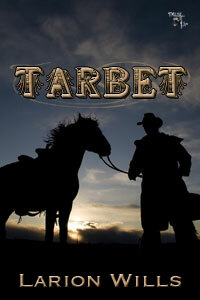 Blurb: Forced to run the ranch like a man after her father’s death, whispers ran wild that Susan was less than a lady. William coming to call caused tongues to wag more. Taking care of a wounded man with only Blazer to help would totally ruin her reputation, but she couldn’t leave a dying man in the hands of delicate Angela or her bungling father no matter what the gossips said about him. How was she to know how much more was behind the attempt on his life? How was she to know she would have to take up a gun, as less than a lady, and fight to save herself and the man she loved? Larion, please tell us where we can find out more about you and the Western collection. Welcome to the J Q Rose blog, Larion. Thanks so much for being my guest. I have made sour dough bread in the past, but always received the "starter" from friends. Now I can make my own! OMG I love the smell and taste of fresh bread!!!!! I love making bread. A determined cook can work out tons of angst kneading dough! I enjoyed the history of pioneer baking as much as the recipe, Larion. This sounds a lot different than the ubiquitous sour dough bread served in every San Francisco restaurant. Will definitely give it a try. Happy holidays! Thanks for the wonderful sour dough bread recipe. I know my husband and son would like me to make them some. Yes, me and bread machines don't work...I emailed my girlfriend and told her about your recipe. We used to make sour dough bread a long time ago when our kids were little. She told me she doesn't make it anymore, but thanks for the memories. Glad you stopped here as a guest, Larion. Best wishes on Tarbet! it was a pleasure and thank you. any time again.